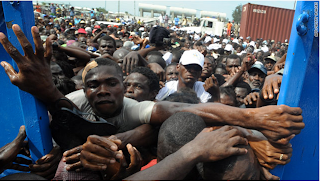 This is an article presenting an interesting perspective about the relief efforts in Haiti. It is fantastic that so many people are volunteering and trying to make a difference, but it's equally important to make sure that we don't do too much. Haiti is its own independent country, so we need to remember to keep it's best interest in mind. What do you guys think about the relief programs?